Every car owner wants the perfect look and feel for their vehicle. But when it comes to exotic cars like the 2018 Ferrari LaFerrari Aperta, the 2017 Audi R8 V10 Plus, the 2018 Bentley Continental GT Speed, the latest Bugatti Chiron, the 2018 Koenigsegg Agera RS, and other luxury, high-performance sports cars, you’re entering a new breed of class where a car’s appearance is a matter of personal taste. Upgrade your exotic car wheels with our revolutionary O.E.M. wheel exchange program. With over 12 years in business, we know exactly what you need. 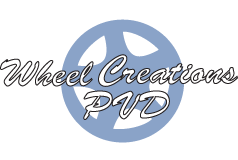 Our wheel exchange program enables you to exchange your old wheels for a new set of quality PVD chrome finished wheels. This saves you money that you would have spent on making an outright purchase. We only exchange same-style O.E.M. wheels. Get in touch with us to learn how our wheel exchange program works or call our support experts directly at (562) 381-2670 to discuss your exotic car rim needs.